How do you find places, get directions, and discover nearby attractions? With Apple's built-in Maps app, that's how! Apple's Maps app gives you everything you need to get where you're going and find interesting places along the way. It can tell you where you are, what direction you're facing, what's nearby, and how to avoid traffic. Maps can show you the ground in 3D and can take to the sky with Flyover. It can even provide turn-by-turn voice navigation for driving, walking, and — in some regions — public transit, including buses, trains, and ferries. How do you use the Maps app? Here's everything you need to know to get started! Apple Maps has lagged behind its competitors for a few years — in part because Apple was late to the game. But over the last year, it's become a more stable, usable service. iOS 10 continued that trend, bringing huge (and much-needed) software and server-side improvements to Apple's mapping application. No, it's still not perfect: In driving mode, it continues to struggle with traffic estimations and offering up the best alternate routes. But for local driving, it's gotten leaps and bounds better. Times have changed: Instead of the Thomas Guide, sixteen year olds have an iPhone to guide their way through city streets and subway lines. And instead of numbered paper sections, we have live traffic information and trip tracking in the form of Apple's Maps app. The company's app is built right into your iPhone or iPad. All you have to do is look! Here's how to use the Maps app to find your location and get directions. Whether you want your iPhone to remember your best friend's house or your local gym, adding and naming locations is easy with the Maps app for iPhone and iPad. Sometimes it's not enough for you to know where you are or where you're going. Sometimes you need to let other people know. Maybe you want to share a great new coffee shop you've found, maybe you got separated at the park, or maybe you need to be picked up where your car broke down. Sure, there's Find my Friends for sharing location all the time but, when you need to share location any time, there's Maps. 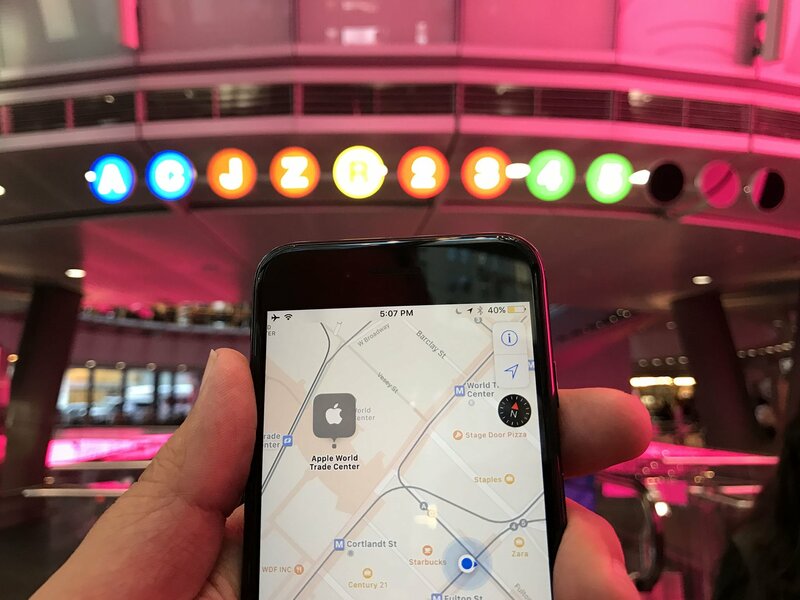 Apple has a few useful features specific to transit directions, making it easier to navigate the big city without a car. You can easily see transit stops for specific lines and, whenever multiple lines are available, you'll see all of the possible route suggestions. Here's how. With Siri and Apple's built-in Maps, you know longer have to stop, type, and search for directions. You can simply tell Siri where you want to go, and you'll get a route to go right there. It's great if you're in a new area of town or traveling in a new city. And if you get lost, you can even ask Siri to take you home. Here's a not-so-secret fact about me: I'm awful at remembering where I parked. It's why I own a brightly-colored car that can make noise and flash its lights if I press my key fob — without them, I might as well condemn myself to wandering through darkened parking garages for hours. Thanks to Apple's Parked Car feature in Apple Maps, though, I no longer have to rely on shiny paint or loud noises to help me discover where I left my vehicle: I only have to look at my iPhone or Apple Watch. What if your car doesn't show up? There are plenty of reasons to avoid storing your search and destination history: Maybe you're planning a surprise party; maybe you have one too many trips to Starbucks listed. Whatever the case, you can very easily get rid of your past search and destination history in Maps. If you're cruising along the highway on a road trip with pals and you want to take a peek at the weather without switching apps, follow along, and we'll show you how with Apple Maps! iOS makes it easier to get more out of the Maps app by allowing third-party apps to add extensions. The primary purpose of app extensions is to give you the ability to do things like book a reservation at a restaurant or call for a ride from services like Uber — all without having to leave Maps. This kind of integration frees up your precious time by cutting out the need to switch between different apps to accomplish your goals. The Maps app is, shall we say, controversial: While Apple's mapping app has seen incredible improvement over the last few years, there are still areas (both physical and feature-related) where it falls short. While you can't change the default mapping app on iOS, you can make it easier to switch to an alternative with a $1.99 utility app called Opener. Outside of streaming services, I'd be willing to bet the most used CarPlay app is Maps. Whether you're looking for a business to or traveling out of state, it's much easier to be told where to go than navigating from memory or a map. Most of Maps interface in CarPlay is pretty easy to understand, but there are a few tricky parts. Let's take a look at some of the app's basic functions and how you can use them to get the most out of your experience. Have a problem or question about the Maps app? Here are some common issues and information about them (as well as how to fix them). Apple Maps transit directions — Which cities have them?